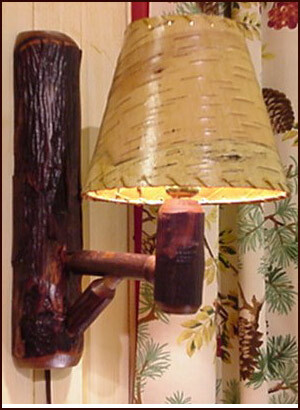 These simple hickory sconces are shipped for plug-in or hard wire, with hand laced birchbark shades made in our shop. Available in pairs only with or without shades. Shown in Walnut Stain.